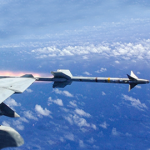 The State Department has given the United Arab Emirates the green light to buy Raytheon-built (NYSE: RTN) AIM-9X-2 Sidewinder Block II missiles, related components and services from the U.S. government under a potential $270.4 million foreign military sales agreement. Raytheon’s missile systems business will be the prime contractor in the proposed sale that seeks to help UAE counter threats, build up its air force’s capability and support its homeland defense efforts, the Defense Security Cooperation Agency said Thursday. The proposed FMS transaction includes 300 Sidewinder Block II missiles, 40 Sidewinder captive air training missiles, 15 CATM guidance units and 30 Block II tactical guidance units, spares, support equipment and containers. The Middle Eastern country also requested technical assistance, missile support and logistics services under the deal that requires the deployment of government and contracting personnel to UAE. DSCA said it notified Congress of the potential sale Wednesday.